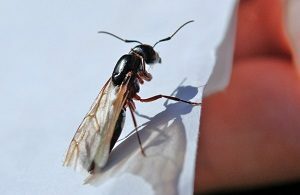 As the weather warms in early Spring, carpenter ant mating season begins. Winged males and females leave the nest. Unique to carpenter ants, they mate in flight, the male dies, and the female loses her wings. She searches for decaying wood in which to lay her eggs. In a few weeks, the young workers begin building new nests of tunnels and galleries in the wood. A healthy colony will contain thousands of workers as the reproduction cycle continues and new nests are established. It is easier to tell the difference between carpenter ants and termites over any other ant species. They have four wings – the back being shorter than the front. Termites also have four wings, but they are equal in size and shape, often extending beyond the length of their bodies. 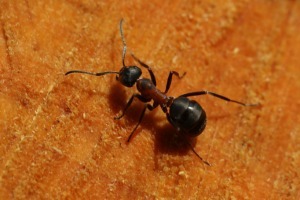 Carpenter ants have distinctly bent (elbowed) antennae. Termites have straight antennae. Carpenter ants have a three-segmented body, pronounced waist, and six legs. Termites don’t really have a waist. Carpenter ants range in size from just over an eighth, to around three-quarters of an inch in length. They vary in color; they can be black, red, brown, or yellow. The easiest way to identify an infestation is to look for piles of frass, which looks like fine sawdust. What Senses do Carpenter Ants Possess? Yes, with eyes similar to bees they can see in spectrums you cannot. They do have difficulty with certain shades of red light though. They are also sensitive to moonlight, not sunlight like other species, as they are mostly nocturnal. Yes, but not like you do. Carpenter ants are sensitive to vibrations, which they use to communicate. Ants have up to eight times more scent receptors than other insects, making their sense of smell and taste exceptional. These receptors are used for multiple purposes, but are mostly dedicated to communication via pheromones. What are the Hazards of Carpenter Ants? The primary danger is to your home. Carpenter ants infest damp or damaged wood, voids in walls, and will create trails between insulation and the surface it sits on. No. 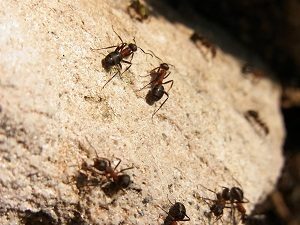 Carpenter ants have a mild bite, employed only in self-defense. Ants are some of the cleanest insects on the planet. Even when biting they do not transfer human bacteria. 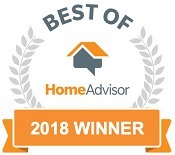 However, the conditions that appeal to a new queen are not entirely sanitary so clean up the area after carpenter ant extermination.